I love Jennifer Lawrence! 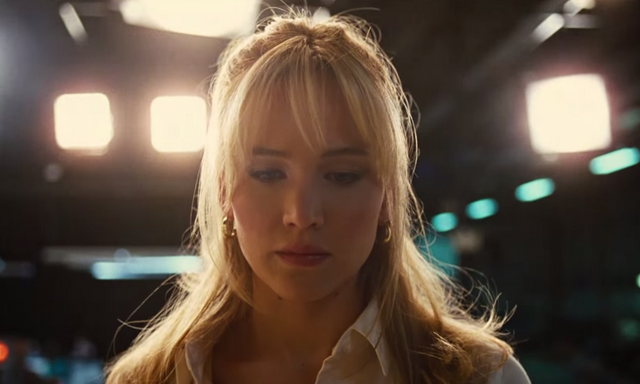 I also loved Silver Linings Playbook and American Hustle she's great in both.The new trailer for her next film Joy is out today and you can watching it by clicking the link below. Warning: it's quite Christmassy for a July trailer.. While their third film together, the critically loathed period drama Serena, might have landed with a damp thud, Jennifer Lawrence is hoping that another film with Bradley Cooper might bring her more Joy. Jennifer Lawrence to be paid $8m more than Chris Pratt for Passengers Read more It also helps that the fact-based comedy drama is directed by David O. Russell, who brought the two together for Silver Linings Playbook and American Hustle, and puts Lawrence centre-stage. The 24-year-old stars as Joy Mangeno, a single mother of three who becomes a successful businesswoman after inventing the Miracle Mop. Joy completes the Russell/Lawrence/Cooper thematic trilogy, right? They're done now, please?